A quiet novel about down-on-his-luck alt-country singer who gets one last shot at stardom when his old flame and singing partner reappears in his life. What Lee has written is a subtle novel about how people on the edge of a financial cliff are forced to sacrifice their ambitions ... If Lee dwelled exclusively on the friction between his three main characters, he’d have delivered a thoughtful working-class tale burnished with some Dylanesque wisdom. But Lee also weaves Yadin and Jeanette in a matrix of larger social pressures ... If Lonesome Lies Before Us isn’t the best American novel of the year, it’s one of the most American American novels. It’s intensely concerned with the civic institutions that shape everyday lives, and with who’s affected when they disappear. That’s too much weight for the average country song to bear, but Lee’s novel carries it just fine. 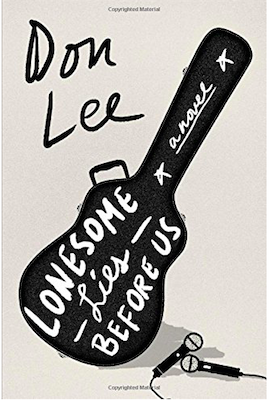 Lee's novel shares some of the character of alt-country music, low-key and trafficking in folks who will never be gold-card members. Deftly, he finds gentle comedy in the town's tiny Unitarian Universalist congregation while also respecting the impulses that brought them together ... While the modest Park would blush if he heard me say this, Lonesome Lies Before Us is also a novel about art, and about what Samuel Beckett called the 'itch to make' even when all of the possible rewards of making have been stripped away. Fittingly for a novel that centers on a struggling musician’s push to record his latest batch of songs, Lee frames the story so that it unfolds like an album—the chapter titles turned into song titles, annotated with running times that evoke songwriting’s greatest magic: the ability to distill the emotions and experiences of days and years into mere minutes and seconds ... The action develops slowly, plot in service to character, the pacing perhaps a bit too steady. 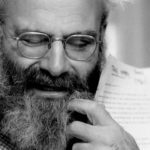 In many ways, the novel itself reflects Yadin’s description of his new music: 'Simple, quiet stuff. No frills, just slow, raw songs' ... Like a beat-up guitar case, Yadin has flaws for all to see. But in Lee’s genuine portrait of struggle and persistence, there’s plenty of magic inside. What did you think of Lonesome Lies Before Us?